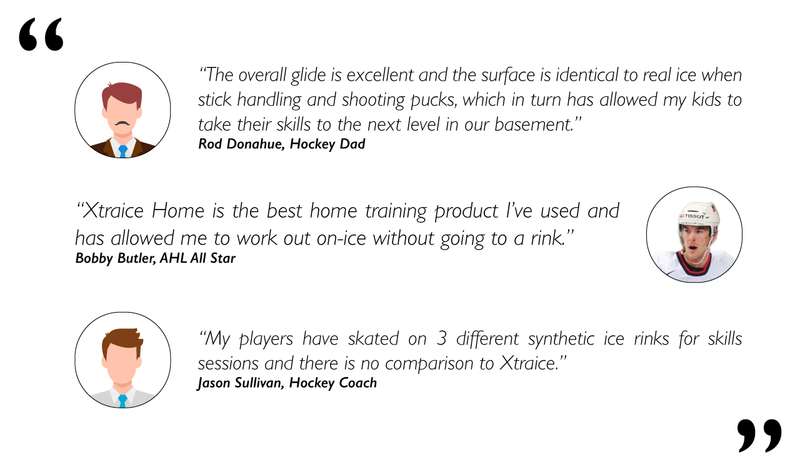 Get your skates on and get in the reps you need to develop an elite shot. The Sniper Box is composed of 9 Xtraice Home Pro panels, comprising an area of 7.5 feet x 9.5 feet. 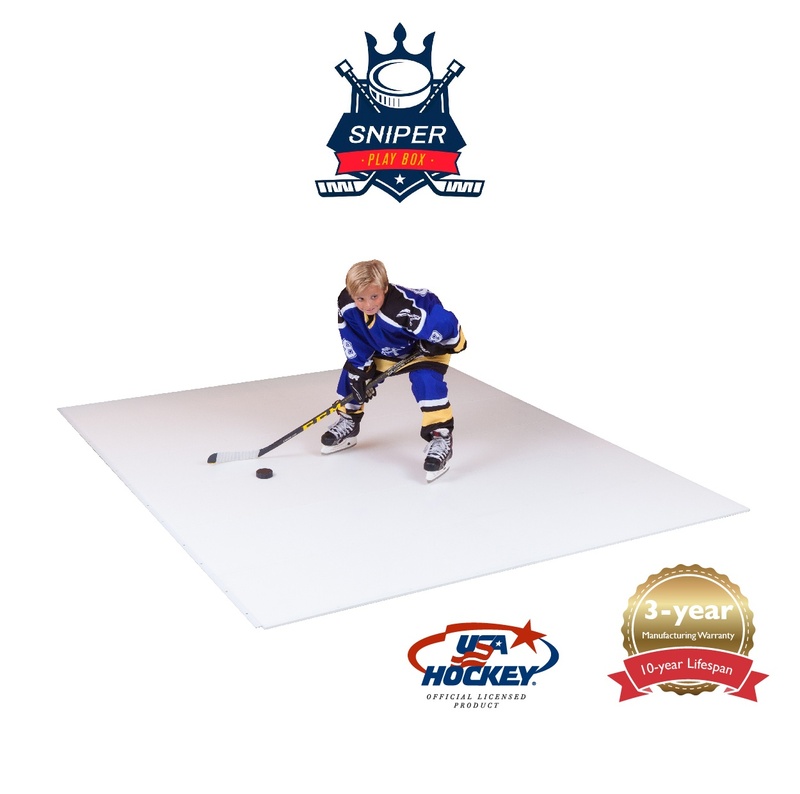 The surface size is perfect for training your shot on your skates. Work on wrist shots, slapshots and backhanders on a daily basis in order to improve your shot speed, strength and release.